Android Market is growing rapidly and it consist of some amazing applications, and I am talking about games here. Like there are racing games, adventure games, sports and a lot others. Would you like to take your Android gaming experience to the next level? Then have a look at the WikiPad, it’s a tablet that comes with a 10.1 inch display with 1,280 x 800 pixels, NVIDIA Tegra 3 T30 1.4GHz quad-core processor, Android 4.1 a.k.a Jelly Bean, 8-megapixel rear-facing camera with 16GB of internal storage. 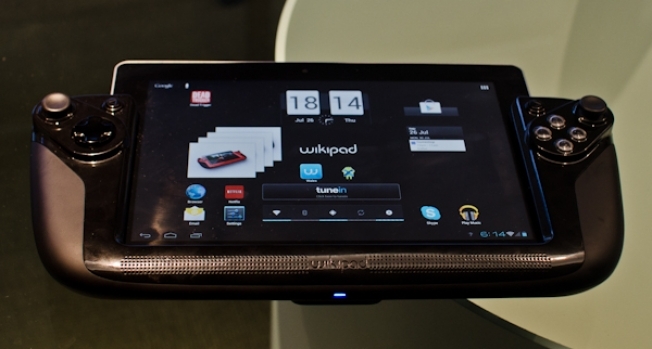 WikiPad is the name of the tablet, and it’s made the company which is also known as the same. The best thing about this tablet is that it comes with a gaming dock, which turns it into a gaming tablet that will give you the best gaming experience you can ever have on a tablet. The buttons resemble with the ones on XBOX 360, however the Wikipad President James Bower said that it will release later this year. Are you looking forward to it? Tell us about it in the comment box below.